Head lice are tiny, flat, blackish brownish insects found in the head and scalp. Lice and lice eggs (called nits) are often difficult to get rid of completely since they are immune to chemicals typically used in over-the-counter products for killing them. A female louse also lays hundreds of eggs which leads to their higher population. In this article, we will discuss some of the easy ways to get rid of lice permanently. Any form of heat treatment helps kill lice and prevent eggs from hatching. Use the curling iron or a hair dryer on its highest heat setting all over the scalp. Then use a fine toothed comb to remove the eggs from the head. This heat treatment has been recommended by Harvard School of Public Health. Repeat the treatment until all lice and eggs are killed. Want to get rid of lice in hair fast? Then this remedy is for you. Buy good quality tea tree oil and mix it with olive or coconut oil. Apply the mixture all over your head. Let it remain for 2-3 hours before washing off with a strong, medicated shampoo such as NIX which contains permethrin (a known insecticide). Comb out the dead lice with a fine toothed comb. Repeat this treatment twice a week. How to get rid of lice permanently using vinegar? You could either use apple cider vinegar or white vinegar for this remedy. Mix some NIX shampoo with a little vinegar and apply it all over the head. Let it remain for an hour. Wash off with warm water. Repeat application two to three times a week to eliminate eggs completely. You can also dip a fine toothed comb in the vinegar and comb the hair between treatments. Mayonnaise can also help you get rid of lice and their eggs at home. Apply mayonnaise liberally all over the hair and let it remain for an hour. Wash your hair using hot water and your favorite shampoo. 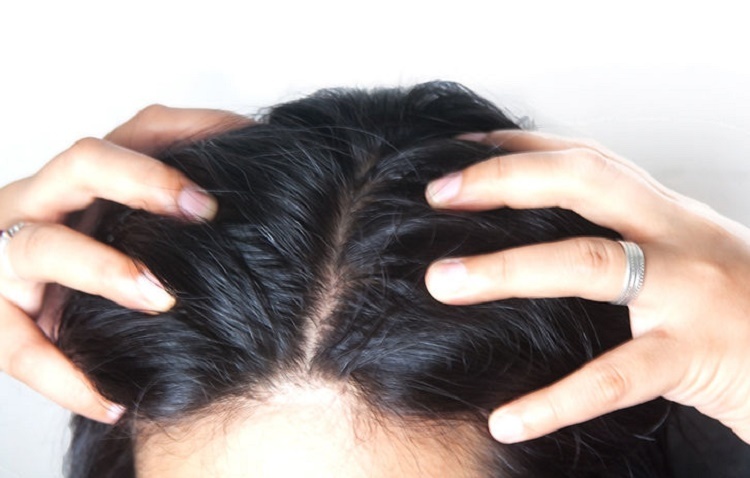 This remedy can help you get rid of lice quickly. Repeat application two times a week for eliminating all of the newly hatched eggs. This wonderful hair mask not only gets rid of lice permanently; it can also condition your hair to make them softer and healthier. 10 drops of lavender oil, mixed with 10 drops of tea tree oil, 10 drops of eucalyptus oil, 10 drops of cedarwood oil and 10-20 drops of sweet almond oil is the perfect naturally remedy for head lice. Apply the mixture all over the head and massage it in vigorously. Leave the oils on the head and scalp for at least 30 minutes. Follow up with thorough combing using a fine toothed lice comb. Wash off with hot water and herbal shampoo. This remedy also kills nits. An effective and easy way to get rid of lice permanently is to wash the hair using 70% rubbing alcohol. Apply the alcohol all over the head and scalp and let it work for up to 2 hours. Wash off with warm water and use a mild conditioner. Repeat this treatment at least 2 times a week for 4 weeks or longer. Listerine mouthwash can help you get rid of lice quickly. The alcohol and menthol in the mouthwash kill lice as well as their eggs and also repels new infestations. You need to use this remedy at least 2 times a week for a period of 2-3 weeks. This will certainly eliminate the infestation. Lice infestation is contagious. So, you must treat all members of the house. Avoid sharing combs, towels and other personal products as this can easily spread them. You must wash all used items such as clothing, pillow covers, towels and combs with hot water, mild detergent or bleach. This will eliminate adults and eggs on these items. You will also need to vacuum the house as the eggs could have dropped on carpets, mattresses and couches etc. If possible, place all items like soft toys, coats etc in sealed bags while the treatment is being carried out. You can also iron out some items or freeze them as heat and cold both kill them quickly. There is no easy way to get rid of lice and you must keep combing the hair to detect them. Use a bright light and a fine toothed comb for this job. If you find one, you must use medicated shampoos or any of the natural remedies mentioned above. Continue daily combing between treatments to get rid of nits. Never use kerosene as not only will it stink, it could also be extremely flammable. In case the above easy ways to kill lice do not help, consult a doctor who can recommend a strong prescription grade shampoo or lotion to you.